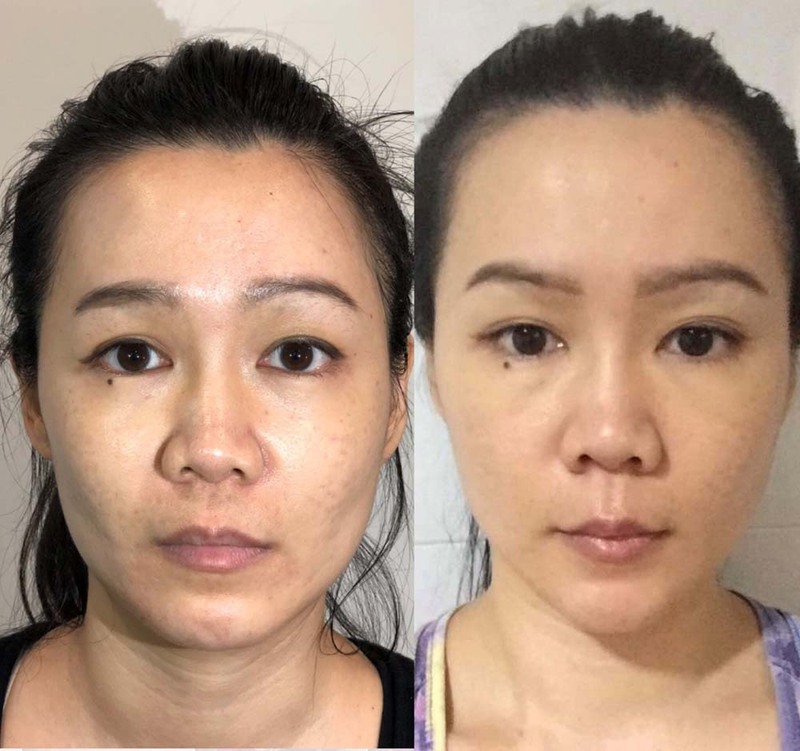 WARNING – I AM GOING TO REVEAL TOP MEDICAL AESTHETIC SECRETS IN THIS BLOG POST OF NO DOWNTIME FACELIFTS : READ ON TO FIND OUT IF YOU ARE ONE OF THOSE PATIENTS WHO WANT TO HAVE ZERO DOWNTIME AND LOOK FIVE TO TEN YEARS YOUNGER IN ONE HOUR. 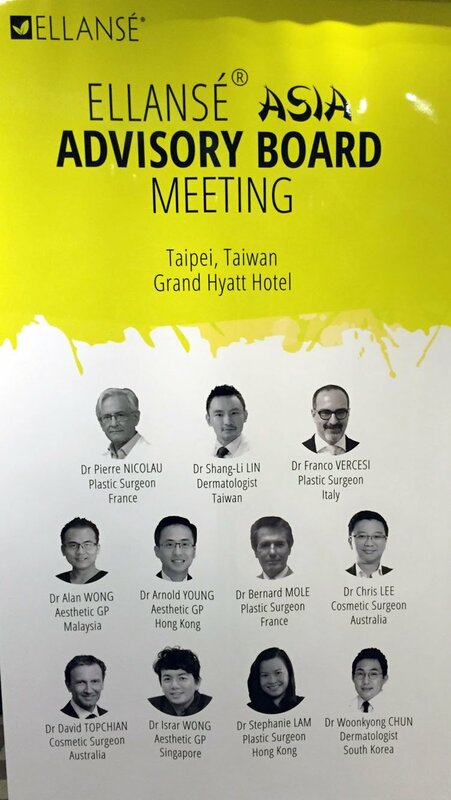 If your well in tune into the realm of medical aesthetics, the overwhelming trend in the past two to three years is to seek maximum results (results close to what surgery can achieve) with minimum downtime ( non-invasiveness, minimal swelling and bruising, no need to take time off work ). That has given rise to nose threadlifts becoming the treatment of choice for nose augmentation as nose threads are essentially micro-implants (imagine many nose threads being fused together to form a nosejob implant) just that they do not last as long. Click here to read more about it in my other post. I have always been a doctor highly focused on using high lifting power fillers and threadlifts to give the ‘wow’’ effect to my patients. 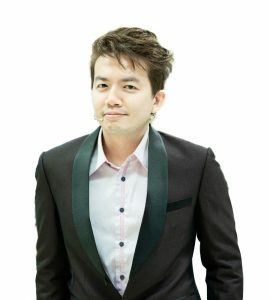 After many years of experience and combining treatments, I realized this philosophy and technique of treatment I’m going to talk about gives great facelifting results with zero downtime! 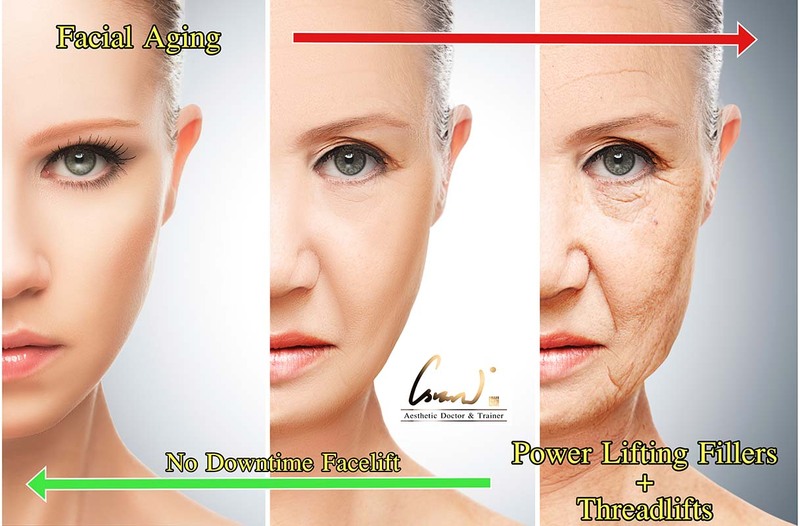 Let me explain more about my philosophy of Combination Therapy with High Lifting Power Fillers with Threadlifts giving No Downtime Facelifting. 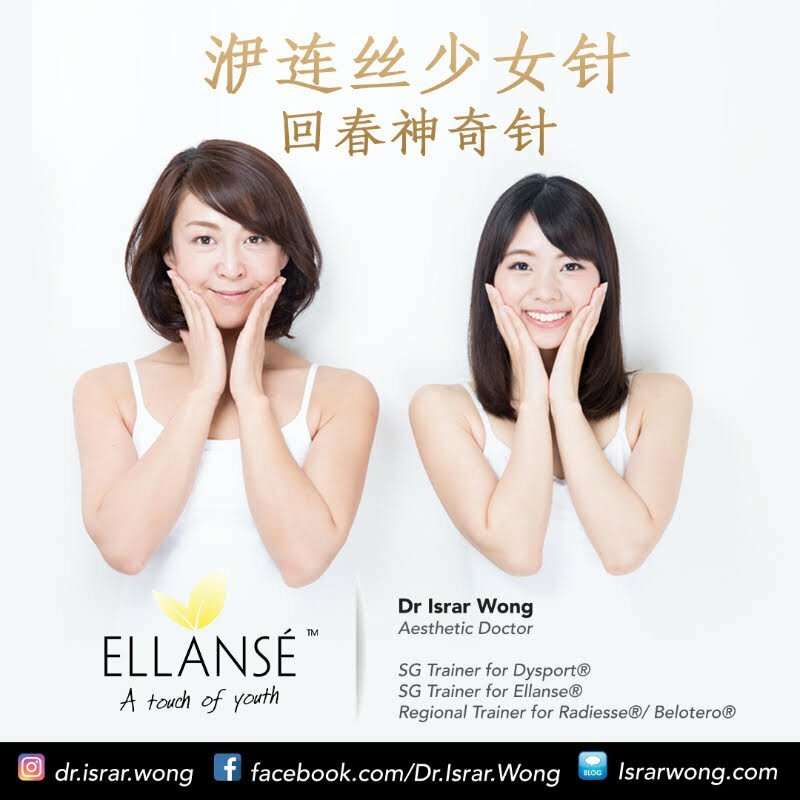 This is essentially the placement of high-lifting power fillers like Ellanse, Teosyal Ultradeep / Resilient HA 3 or 4, Radiesse into the Deep Fat Pads of the Face for the volumizing and lifting of the central face, while harnessing the power of US FDA-approved threadlifts for repositioning and raising the skin and underlying tissues of the lateral (sides) of the face. It may sound Greek to you but fret not, let me break it down in the subsequent paragraphs. 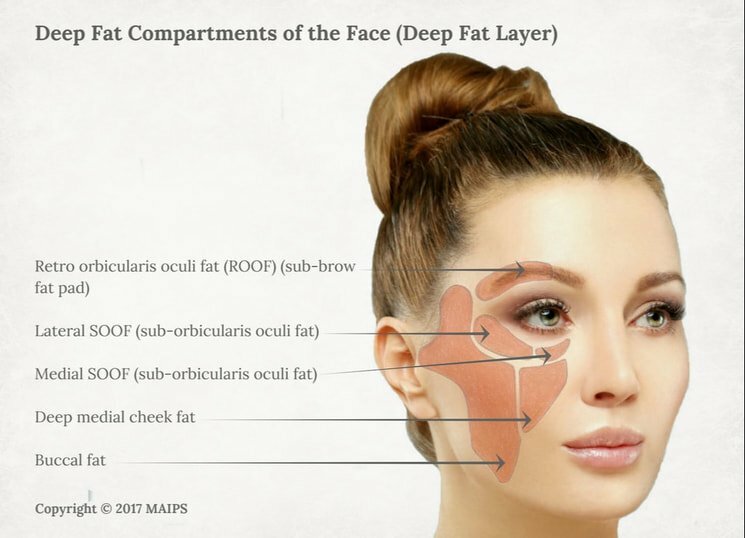 Fat Pads are compartments of fats on the face which are stuck onto the facial bone structure and separated from each other by clear boundaries. They are found usually lying under the muscles of expression of the face, and the SMAS (Sub-Muscular Aponeurotic System – the thin layer of muscle that is targeted usually in surgical facelifts). Because they are stuck onto the facial bone and fixed, they are immobile. They will not be able to move even a centimeter from where they are. You can test this by squeezing the tissue of your face underneath your eyes (SOOF) and central cheeks (Deep Medial and Lateral Cheek Fat) and try to pull them and move them away from their origin. You will most likely cause much pain before you could even pull the deep fat pads away a centimeter. Why is it important to know these Deep Fat Pads? It is because when we age, we lose the fat in this deep fat pads first. 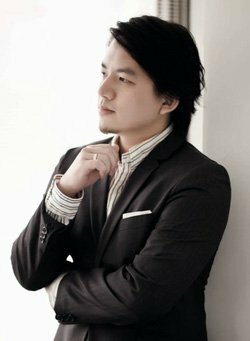 Just look at someone in their early to mid-thirties. You would most likely notice the undereye area being sunken and maybe in the front of the cheeks. (the area below the eyes and away from the nose). Only high lifting power fillers, please! 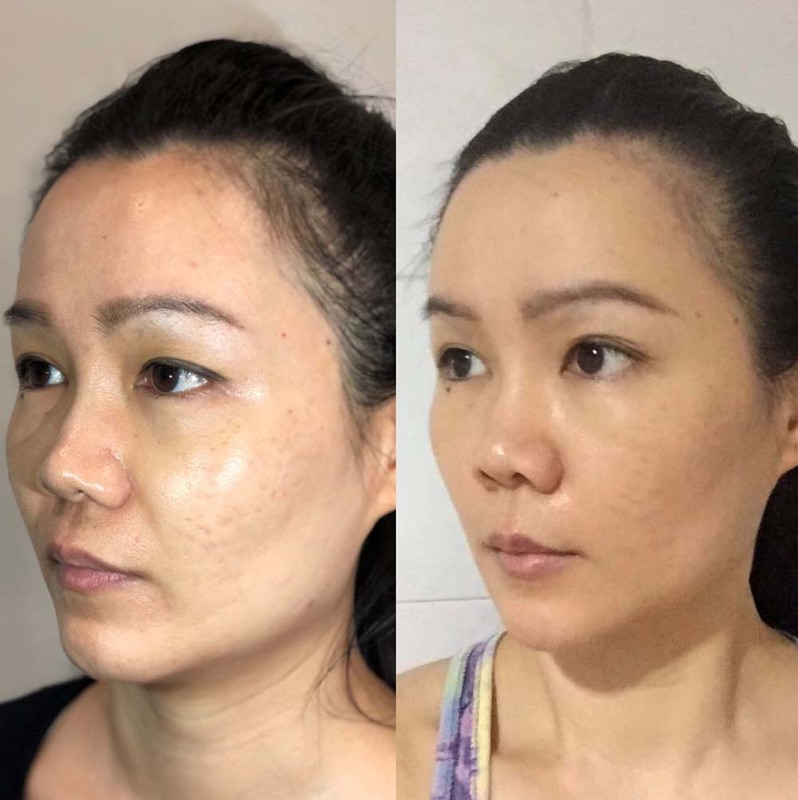 Therefore, an appropriate strategy is to volumise these EXACT SAME DEEP FAT PADS with high lifting power fillers – high lifting power fillers give the maximum lifting power with the least amount of product. This is to ensure that the under eyes and cheeks do not get overfilled (very likely if certain low lifting power fillers are used as they require larger volumes to give the same lifting effect). Also, high lifting power fillers have high viscosity and strength qualities. Meaning that they do not spread or move away from the point where they are injected. Remember the fat pads are stuck on the bone and immovable? The high lifting power fillers will volumise the fat pads and cause the fat pads to be lifted against gravity as a result, causing a volumizing and facelifting effect at the same time. High Lifting Power fillers are my favourites and as you would have known by now – I am a international trainer for these fillers as well. Examples of high lifting power fillers are Ellanse, Teosyal Ultradeep / RHA 3 or 4 and Radiesse. 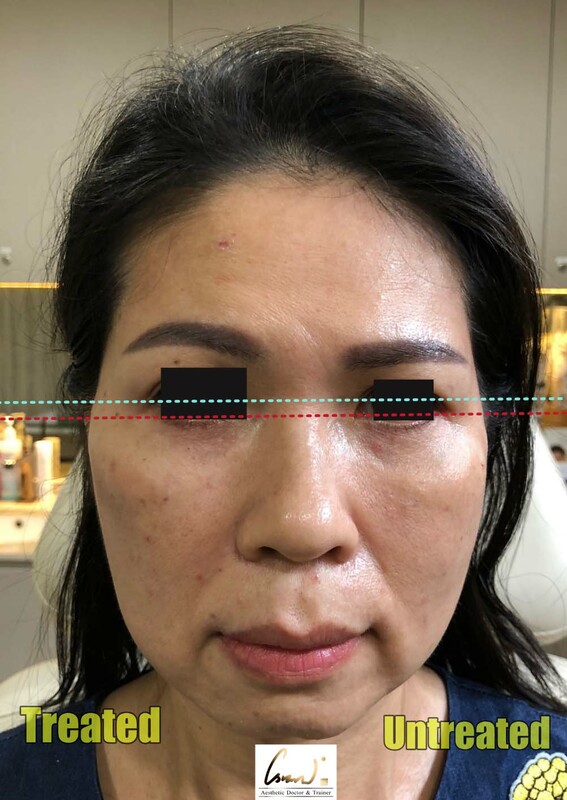 The Treated Side Deep Fat Pads Were Volumised with 0.5cc of Teosyal RHA4 and 0.5cc of Redensity 2 – giving an obvious eyebrow lift, cheek filling and lift, reduced smile line (nasolabial fold). The dark eye circles were also removed because of the usage of Redensity 2! 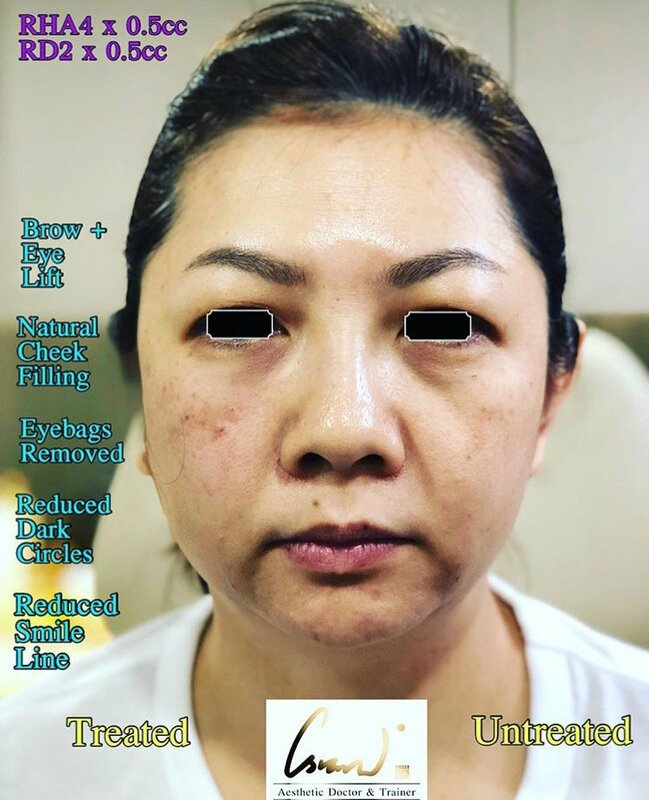 The Treated Side Deep Fat Pads Were Volumised with 1cc of Ellanse – giving an obvious eyebrow lift, lateral eye corner lift (the eye corner was lifted from the level of the red line to the blue line immediately), cheek filling and lift, reduced smile line (nasolabial fold). Superficial Fat Pads are compartments of fats on the face which are just under the surface of the skin layer. They are highly mobile and sags downward with aging. 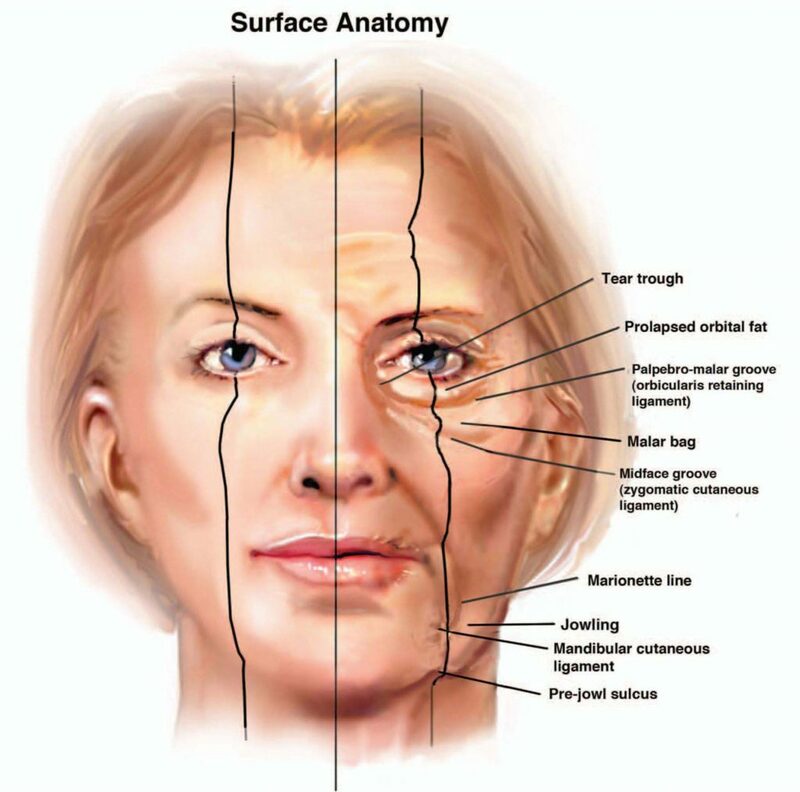 They are found usually ABOVE the muscles of expression of the face, and the SMAS (Sub-Muscular Aponeurotic System – the thin layer of muscle that is targeted usually in surgical facelifts). Because they are superficial, and are found above the muscles of the face, they are therefore not stuck to the bone (except by true retaining ligaments of the face at certain spots of the face), and are very mobile. They are amenable to the forces of gravity and aging and therefore they form the smile lines (nasolabial folds), marionette folds and jowls. Superficial Fat Pads of the Face are highly mobile and can sag downwards a lot with aging, forming the signs of aging known as the smile lines (nasolabial folds), marionette folds and jowls. Why is it important to know these Deep Fat Pads? They are highly mobile – try to squeeze the skin and underlying tissues at these locations and you find that you can move them around easily with your fingers. Therefore, they are also highly amenable to threadlifting – the non-invasive procedure of using suspensory sutures with barbs, cones or hooks to lift saggy facial tissues without surgery. When we do threadlifting, we are actually targeting the nasolabial fold and jowls and superficial lateral cheek fats. My favourite threadlifts are the US FDA-approved threadlifts, and they are Mint (Minimally Invasive Non-Surgical Thread) Lift and Silhouette Soft. And yes, I am also an international and regional trainer of the 2 threadlift products. Superficial Fat Pads of the Face are highly mobile and can sag downwards a lot with aging, forming the signs of aging known as the smile lines (nasolabial folds), marionette folds and jowls. They can also be lifted with threadlifts like Mint Lift and Silhouette Soft. If just using either high-lifting power fillers OR threadlifts already gives such fantastic results, why do we want to use a combination of both? The answer lies in patients wanting to seek the holy grail of “No Downtime” aesthetic treatment. 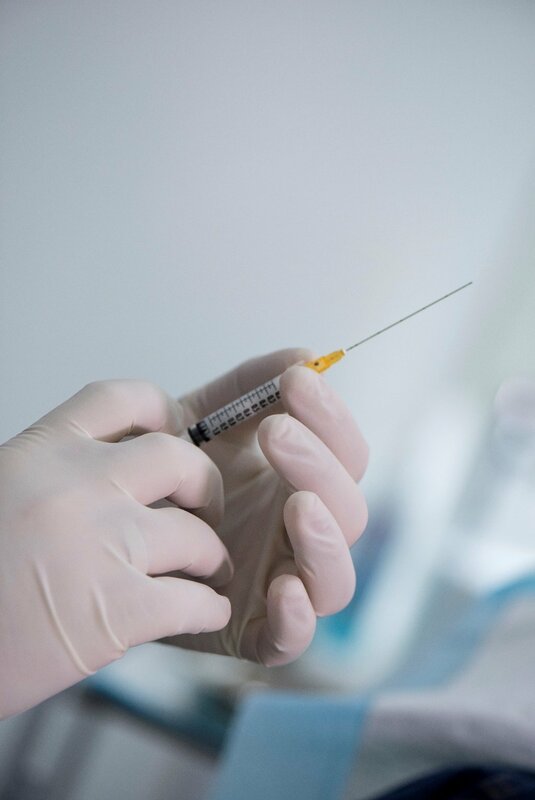 Everybody wants to be able to go in the clinic, have a few jabs here and there, and come out looking 5-10 years younger, without bruising or swelling. And I have found that is possible only with combination therapy. Combining the therapies allows for lesser products of each to be used, and also markedly reduces the downtime involved! Many doctors and wrongfully informed patients claimed that one cannot do both fillers and threadlifts on the same day – I proved them wrong by my experience and meticulous work of placing the high lifting fillers in the DEEP FAT PADS and the threadlifts in the SUPERFICIAL FAT PADS. They sound easier said than done and takes a high level of experience, technical expertise and ability to recognize the different patient face conditions (no two patients have the same condition and this combination therapy needs to be highly customized for each patient). 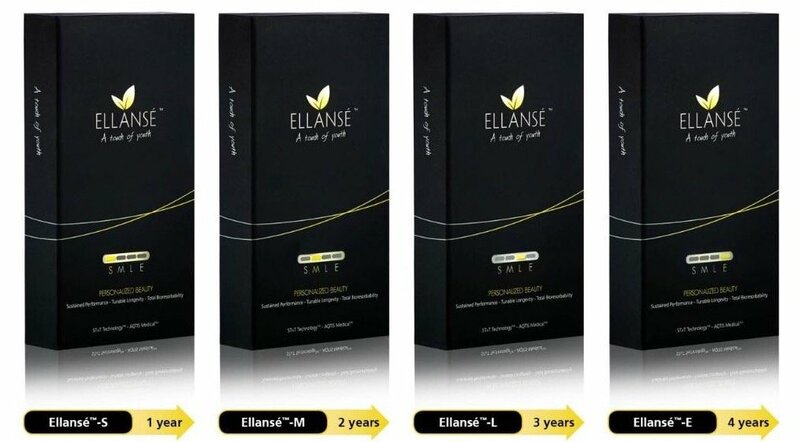 1cc of Ellanse was placed in the deep fat pads on each side of the face, and 1 pack of Silhouette Soft was placed in the superficial fat pads on each side of the face. The result is a slimmer, lifted, V-shaped facial contour, volumized and lifted cheeks and reduced smile lines. I call this protocol the “2 + 2”protocol of my Yuan Yang Lift. 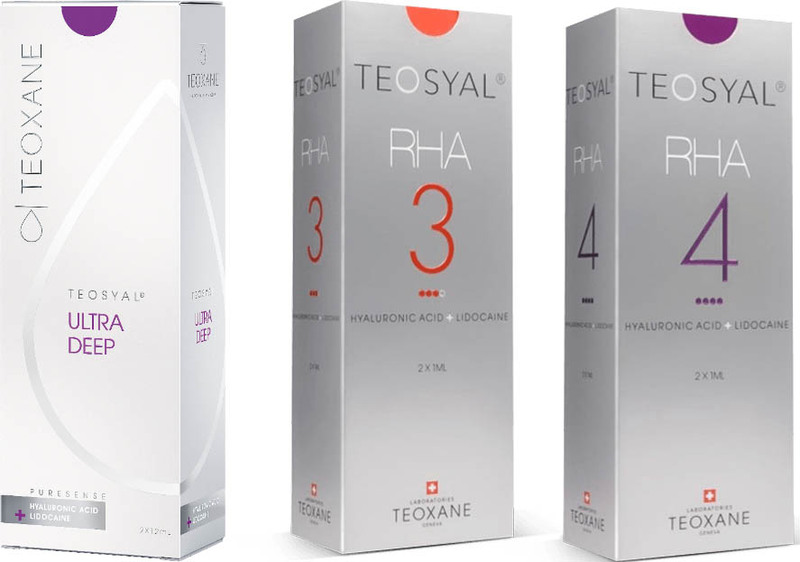 1cc of Teosyal RHA4 was placed in the deep fat pads of each side of the face and 2 Mint Mini and 2 Mint Fine threads were used to treat the smile lines and jowls. This was taken during “half time” and the results are tremendous without any swelling, bruising or downtime at all. 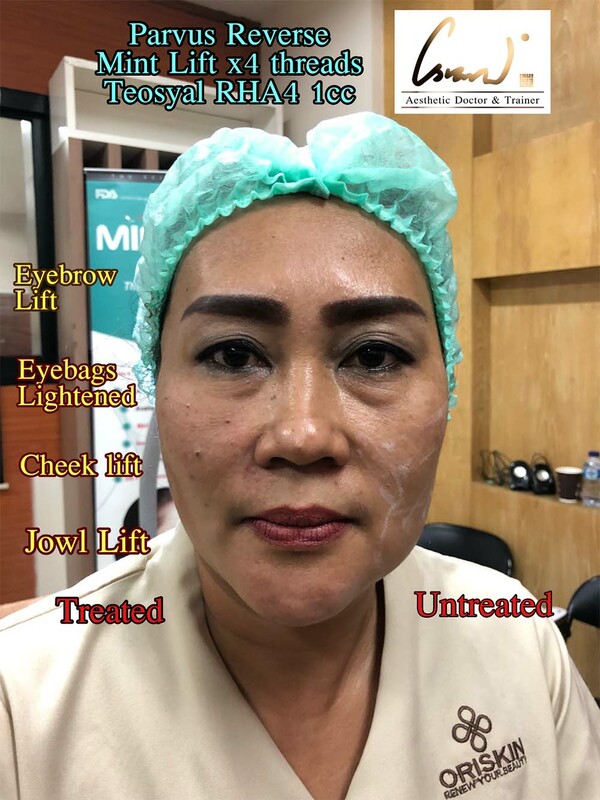 Combination therapy of high lifting power fillers in deep fat pads, and threadlifts in superficial fat pads is the no downtime facelift treatment of the future. It requires less product of each to be used and hence, results in zero downtime ( no swelling or bruising). There is a high level of expertise needed to know the exact locations to place the high lifting fillers ( they are harder to handle than the normal fillers) and the right depth. There is an even higher level of expertise needed to place the threads of Mint Lift and Silhouette Soft in the right plane to give the immediate lifting and fat repositioning result. 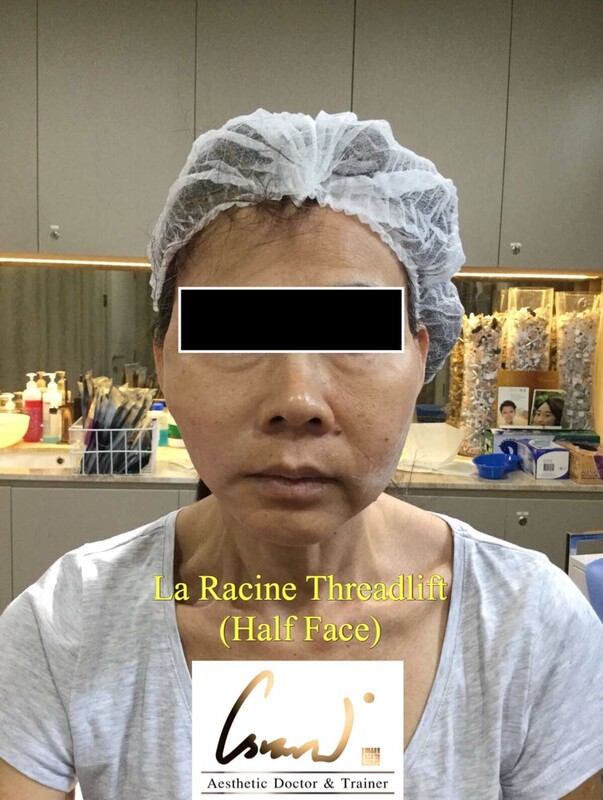 Please look for a doctor highly experienced and skilled in the usage of the above brands to have this Combination Facelift Therapy if you want to get a facelift with zero downtime. 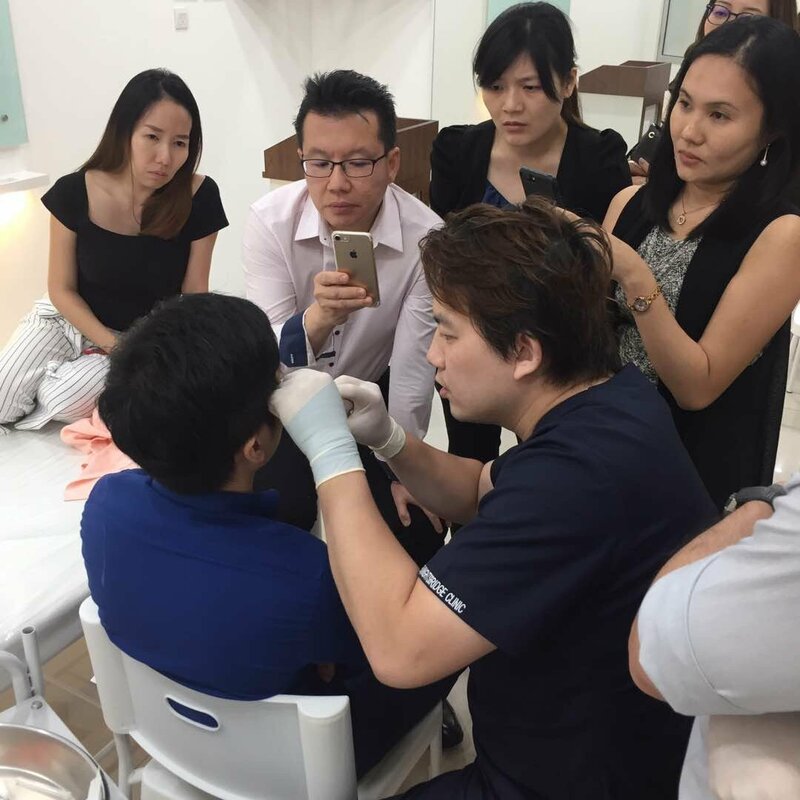 Feel free to iMessage, whatsapp or call me at +65 88089887 to enquire more or book appointments with me. I am currently based in Orchard Road and no longer at The Knightsbridge Clinic or South Bridge Road, please kindly take note.